Dedicated dashboard for delivery manager to maintain commission tracking, order management and more. Delivery manager can add or edit or block delivery boy and manage their information. They can fix number of order limit to vehicle type and fare type to each delivery boy. 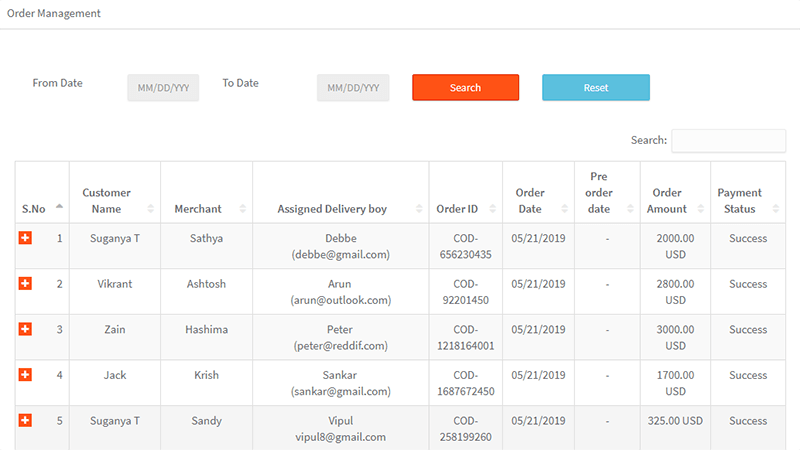 New order management gives insight about customer& Restaurant details, order date, amount and payment status to delivery manager. Order management tracks down previously done orders and its transaction details. Commission tracking offers in depth details about order amount, total commission amount and paid amount details. Delivery manager can view the entire transaction flow and make actions accordingly.